The purchase of a new home may be the largest single financial investment you will ever make. The process is exciting but can quickly become stressful if you are unsure of the true condition of the house. Having your new home professionally inspected by Capitol Home Inspections as early as possible in the buying process can save you thousands of dollars due to unknown potentially serious defects and repairs. We provide our Clients the information they need to make an informed decision about the property being inspected in a clear, concise, professional manner, onsite with FULL COLOR photographs. In other words, we provide our clients with peace of mind! 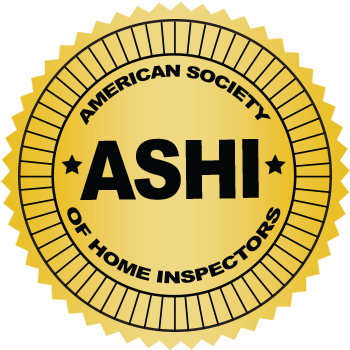 A comprehensive, impartial inspection conducted by an inspector that is Virginia State Certified and a member of American Society of Home Inspectors. We are fully bonded and insured with general liability and professional liability (aka errors & omissions insurance). All Realtors are indemnified. We even want you to come along with us during the course of the inspection. If you’re a veteran home buyer, it may not be as important that you’re there the entire time. However, if you are new to the home buying process, it’s very important that you’re there from start to finish. We’ll not only inspect the house you’re buying but we’ll share with you what needs to be maintained and why. You’ll get a real education about your new home. Don’t worry, we’ll explain everything in terms you can understand! Because we want you as a client for life and because you have trusted us to assist you in one of life’s biggest purchases, we promise to provide you with an unbiased, professional and thorough home inspection. We guarantee excellent customer service and COMPLETE SATISFACTION! When you receive your inspection report, if you feel you did not receive a thorough and comprehensive report, ask for a refund. However, if you feel we exceeded your expectations, please refer our inspection services to all of your friends and family! We take pride in spending time with our clients and we are delighted to answer any questions that you might have about your home, not only during your inspection but anytime in the future. We’re adamant about helping you maintain your home so that you can use your home’s equity for your next purchase instead of for repairs.